Lead service pipes were installed in the United States until the mid-1950s, but there are records of lead service pipes being installed as late as 1977. Older properties may still have lead service pipes, which connect the water main in the street to household plumbing. To determine the type of material of the service pipe on your private property, contact Customer Service at 202-354-3600 to request information about your water service pipe or visit our lead service pipe mapping page. Please note that this historical data may be incomplete and may not include information about the service pipe material on private property. You can also check your household water service connection, typically located in the basement. Lead is a gray metal and can be easily scratched with a coin. Our Guide to Identifying Household Plumbing can help you to determine your service line material and/or plumbing material. You can also contact a licensed plumber to inspect your pipes. If you have a lead service pipe, we encourage you to take advantage of our lead service pipe replacement program. 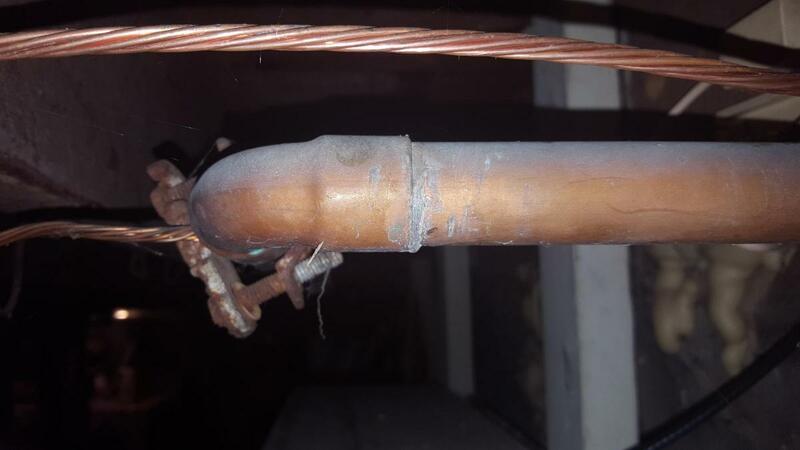 Solder connects pipes in household plumbing. Until 1987, lead solder was used in household plumbing. 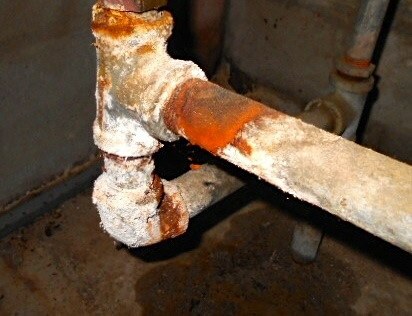 If your house was built before 1987, your plumbing may have lead solder. Almost all faucets, valves and fittings have brass components, which may contain lead. Until 2014, brass faucets and fittings sold in the United States and labeled "lead-free" could contain up to eight percent lead. Effective January 2014, the Reduction of Lead in Drinking Water Act specifies that these materials may not contain more than 0.25 percent lead. Household galvanized pipes are old, corroded pipes that were installed in many homes before the 1960s. These pipes can release lead in water if the property has, or previously had, a lead service pipe. Galvanized pipes are made with a protective layer of zinc. However, the zinc layer erodes over time and results in corrosion. When lead is released from a lead service pipe and passes through galvanized plumbing, lead can accumulate on the inside, corroded walls of this plumbing. Lead release from galvanized pipes can vary from home to home and can continue to occur even after a lead service pipe is replaced. Request a free lead test kit! DC Water offers annual free lead testing for residential customers.